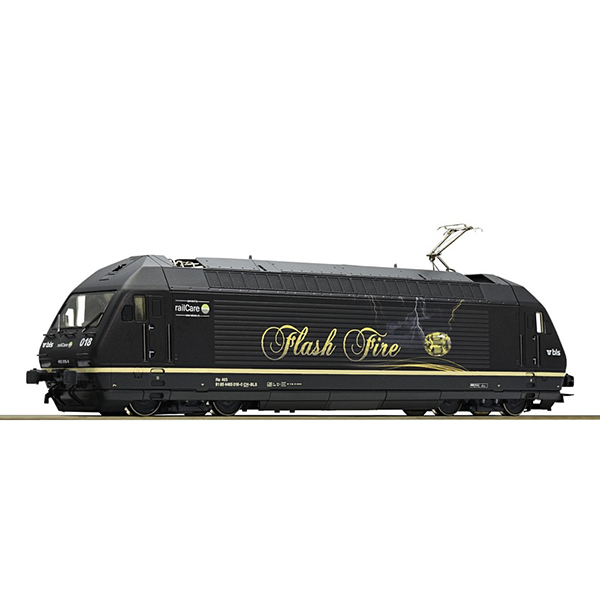 Electric locomotive series 465 "Flash Fire" of the BLS. Model Description: Rich detailing on the model. Motor with flywheel. Drive on all four axes. The model features 2 traction tyres. Interface according to PluX22 standards for the adaption of decoders. Coupler pocket according to NEM 362 standards. LED lighting. Equipped with digitally switchable sound functions.